Commemorated by the Catholic Church annually on April 27th. St. John, St. Anthony and St. Eustace are the most renowned Orthodox holy martyrs of Lithuania. In 1969 Pope Paul VI declared them saints of the Roman Catholic Church. The account of the martyrdom of these saints indicates that brothers Kumetis and Nezilas were pagan nobles with their origins in Lithuanian lands. They served in the court of the Lithuanian Grand Duke Algirdas (father of Jogaila, the ruler of the Grand Duchy of Lithuania and Kingdom of Poland). Nestor, a priest who accompanied the wife of Grand Duke Algirdas to Vilnius, had a great impact on Kumetis and Nezilas, who later converted to Christianity. Their Christian names were Anthony and John. As was customary for Christians of that time, they began to fast when appropriate and stopped shaving their beards and cutting their hair. This offended other nobles of the court. Anthony and John were imprisoned and were being forced to abandon their faith. John renounced his faith after a year of imprisonment, but after witnessing the unwavering stance of his brother, converted back to Christianity. After being pressured by the nobles, Algirdas, the ruler of the Grand Duchy of Lithuania, sentenced the brothers to death by hanging in 1346. Following the example of John and Anthony, their cousin Krulis also converted to Christianity and was given the baptismal name of Eustace. However in 1347, while being forced to renounce his faith, he was tortured to death in a most cruel fashion – his bones were shattered from being beaten, he was doused with cold water in the middle of winter, his hair was ripped out of his head, and finally he was hanged. It is said, that at night the sons of Grand Duke Algirdas themselves took the martyr down and buried him next to his cousins ​​– John and Anthony. After these events, devotion to the martyrs began, at first locally, then after a while, it spread internationally. In 1374 the remains of the martyrs were taken to Constantinople, where they were solemnly accepted by the Patriarch Philotheus. Duke Algirdas, realizing that the new martyrs could be useful politically and help establish contact with the Byzantine Empire, ensured an Orthodox church was built on the site of the martyrdom. Originally, a wooden chapel was constructed. Later it was replaced by a masonry Orthodox church, and the remains of the martyrs were re-buried there. After the Union of Brest (1596), Greek Catholics of the Byzantine liturgical rite settled at this location. (Currently the Holy Trinity Church occupies this site.) Russian Orthodox built a wooden church and the remains of the martyrs were transferred there. (Currently it is the Russian Orthodox Holy Spirit Church). 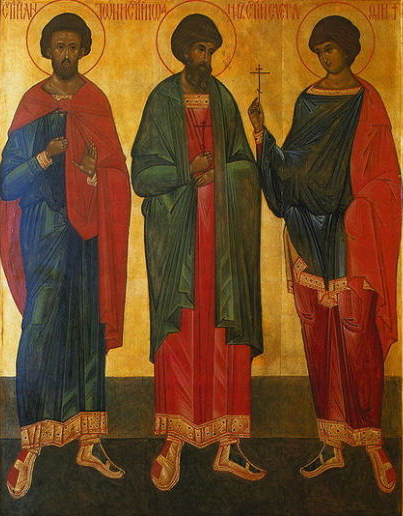 The Jesuits and the Greek Catholics of the Byzantine rite developed the iconography and the story of Saints John, Anthony and Eustace, because they were one of the first and the first officially recognized Christian martyrs of Lithuanian lands. St. John, St. Anthony and St. Eustace were officially declared Eastern Orthodox saints in 1547, in Moscow. April 14th (according to the current calendar – April 27th) was designated as their feast day. Seeking to protect the remains of the martyrs during World War I, they were taken to Moscow, but ultimately returned to Vilnius after World War II, pursuant to the order of the Patriarch of Moscow. July 26th, the day the remains were returned to Vilnius, is one of the most important feasts for local Eastern Orthodox faithful. Commemorated by the Church on November 12th. Josaphat Kuntsevych dedicated his entire monastic life to the unity of the Eastern and Western Christian Church. For that reason he is considered a pioneer of ecumenism and a patron of those involved in ecumenical work. For his contributions toward unification of the Christian Church, the remains of the Saint were buried in the altar of St. Basil the Great, in St. Peter’s Basilica in Rome. He was born Ioann (Ivan) Kuntsevych in 1580 in the Volhynia region in what is now Ukraine, into a merchant’s family. He arrived in Vilnius in 1596 to learn the merchant’s trade in the academy founded by the Jesuits. In 1604 he entered the Basilian Monastery of the Holy Trinity in Vilnius and received the name of Josaphat. He was tenacious as a pastor and had a great ability to connect with people. The Orthodox called him the “thief of souls” because he led a lot of Orthodox Christians to the Catholic Church. He reorganized the Basilian Order and founded the Order of St. Basil the Great – a Congregation of the Holy Trinity with its headquarters in Vilnius. He became the Archbishop of Polotsk in 1618. He strongly supported the union of the Catholic and Orthodox Churches, which was opposed by some Russian Orthodox. He was killed by the citizens of Vitebsk, who opposed the union of the Churches. Only 20 years after his death, Josaphat was beatified, and then proclaimed a saint by Pope Pius IX in 1867. The remains of Saint Josaphat were first kept at a Greek Catholic of the Byzantine rite Cathedral in Polotsk. Later, they were hidden at various locations in Lithuania, Poland and Belarus; in 1916 the remains were transferred to St. Barbara’s Church in Vienna; and finally in 1949, his remains were buried in St. Peter’s Basilica in Rome. The future Saint Andrew Bobola was born in 1591 in the town of Sandomierz, Poland. In 1611 he entered the Society of Jesus in Vilnius, studied philosophy and theology at Vilnius University, and worked at various locations in Lithuania’s Jesuit Province. St. Andrew Bobola spent a third of his life in Vilnius. For twelve years he worked at St. Casimir Church: he was a preacher, a confessor, the rector of the Church and a leader of the Sodality of Our Lady Society in Vilnius. In this Church he was ordained a priest in 1622, and professed his solemn monastic vows in 1630. During the Polish-Lithuanian war with Moscow of 1655, raging Cossacks demonstrated a particular hatred for Catholicism in Lithuania. Renowned for his missionary work, Father Bobola was captured by Cossacks in 1657 and brutally tortured to death on May 16th, after refusing to renounce the Catholic faith. Almost fifty years later in 1702, during the Great Northern War, Martin Godebski, the rector of Pinsk College, saw an unfamiliar Jesuit, who was radiating ethereal light, and who promised that he, Andrew Bobola, would protect the College against the enemy army, if the rector found his body. After three days of searching the coffin was found, despite the fact that neither the rector, nor anyone else, knew who Andrew Bobola was or where his body had been buried. Despite constant moisture at his burial site, the martyr’s body had not decomposed, nor did it emit any odor. After that news spread, the residents of Pinsk and surrounding areas started gathering to pray by the crypt. When the City of Pinsk was skirted by the marauding army, and the entire region of Pinsk was untouched by plague, Andrew Bobola’s veneration grew very rapidly. Andrew Bobola was beatified in St. Peter’s Basilica in 1853, and was declared a saint in 1938. His remains were transported from Italy to the St. Andrew Bobola Shrine in Warsaw. In Vilnius’s St. Casimir Church an Andrew Bobola image is displayed near the altar and his relics are kept in the crypt. St. Raphael of Saint Joseph Kalinowski is the only saint who was born and raised in the city of Vilnius. He is considered a patron of Siberian exiles, soldiers, officers and a guardian of people who find themselves in a hopeless situation. Joseph Kalinowski was born in 1835 into a family of nobles. His father, Andrew Kalinowski, was a native of Grodno and worked at the Institute for Nobles as a superintendent and a lecturer of mathematics. Joseph’s mother Josephine Polonska died soon after he was born, and Joseph was raised first, by his aunt Victoria Polonska, and later by his stepmother Sophie Puttkamer – an educated, sensitive and deeply religious woman, who imparted Christian moral principles to her children. Joseph Kalinowski received his general education at the Institute for Nobles. He was known as a gifted, diligent and dutiful student. Later, he attended the School of Agriculture at Hory-Horki (now Belarus) and then at the Nicholayev Academy of Military Engineering in Saint Petersburg, where Tsarist army officers were trained. During the Crimean War he was appointed as an army engineer, and after graduation he worked as a lecturer of mathematics. Living in Saint Petersburg, Joseph longed for Vilnius, and also suffered a crisis of faith. Though Joseph Kalinowski would have preferred to distance himself from the revolutionary propaganda and terror, in 1863 he became actively involved in the Lithuanian and Polish uprising even though, having had experience in war, he recognized that it was doomed to fail. He emphasized that the country needed to work, rather than shed blood, and that an unarmed peoples’ struggle against a strong Russian army had no chance of success. Nonetheless, he was responsible for organizing the insurrectionist groups and for supplying food and weapons. Joseph was arrested, even though there was no evidence of his participation in the uprising. He decided to take responsibility because he wanted his case closed and any new arrests prevented. Typically rebels were condemned to death, but Joseph Kalinowski’s sentence was commuted to 10 years of hard labor in Siberia, without the right to return to Vilnius. While in Vilnius during the uprising, Joseph Kalinowski went to confession at the Missionary Church, at which time he returned to the faith and visited the Gate of Dawn daily. During his interrogation, he was imprisoned in the Dominican monastery (which had been converted into a prison) near the Holy Spirit Church. He spent his days living by the monastery rule: he rose at dawn and prayed, meditated, read books, contemplated and through the window listened to the sounds of the Holy Mass. At the labor camp he worked processing salt. It was here Joseph Kalinowski decided to dedicate all his spare time preparing for a monastic life. After serving his sentence in Siberia, he worked in Paris as a tutor for the son of Duke Czartoryski; soon both student and teacher became monks. August Czartoryski joined the Salesians, and Joseph Kalinowski entered the Discalced Carmelite monastery in Graz (Austria) in 1877. During his robing ceremony he received the monastic name of brother Raphael of St. Joseph. After taking his solemn perpetual vows and after being ordained a priest, he became the prior of the monastery at Czerna near Krakow. He successfully reformed and revitalized the monastery. After more than 10 years, he was appointed a prior of Wadowice monastery, where he led the construction of the monastery and St. Joseph’s Church. Later, he became the provincial’s vicar for the affairs of the Discalced Carmelite nuns and diligently cared for their religious life. Additionally, he founded many Catholic organizations throughout Poland and Ukraine, and established several new Carmelite convents in Przemysl and Lvov. He spent much of his time listening to confessions, and was referred to as the “Martyr of the Sacrament of Reconciliation”. 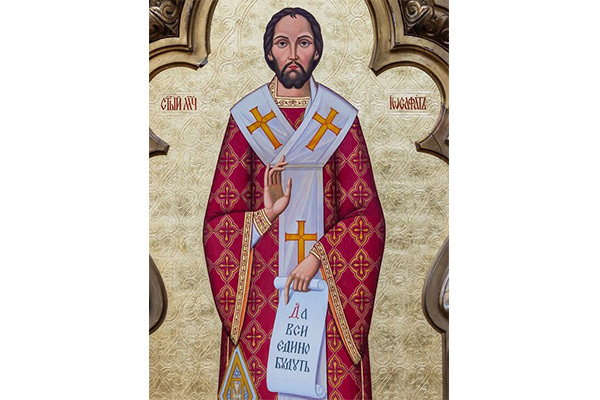 In Ukraine he cared not only for Catholics, but lovingly served the local Orthodox faithful, and sought the unification of the Eastern Orthodox Church with Rome. He wrote a four-volume historical account of the Discalced Carmelite nuns in Poland, Lithuania and Russia and a number of pastoral publications, which he authored or translated from French. 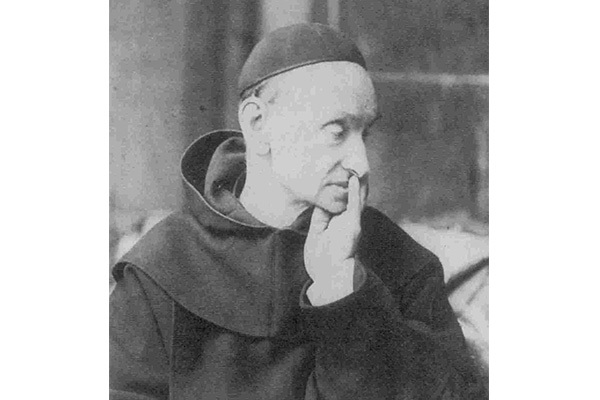 Father Raphael Kalinowski died on November 15, 1907, a traditional day of Carmelite prayer for all deceased monks. He was buried in the monastery cemetery in Czerna, and soon after his tomb was renowned for miracles. His beatification process began on May 5, 1934. His remains were transferred to the monastery chapel in Czerna. Father Raphael Kalinowski was beatified by Pope John Paul II in 1983. 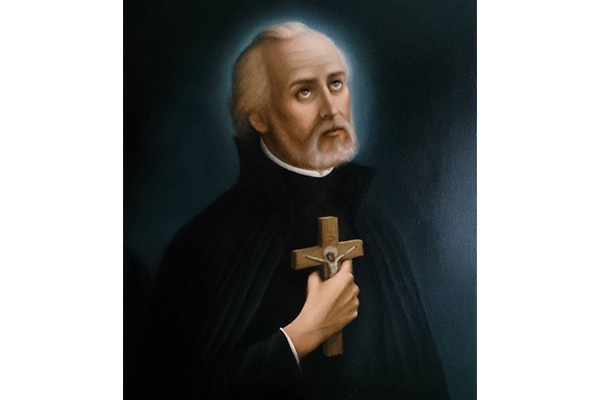 In 1991 Blessed Raphael of Joseph Kalinowski was declared a saint. Blessed Michael Sopocko is known as the Apostle of Mercy. In Vilnius he met St. Faustina and became her spiritual guide and confessor. Since then he dedicated his entire life to the propagation of the message of Divine Mercy, and Vilnius became the city from which this message spread to the world. Encouraged by him, Sister Faustina began recording her mystical experiences in a diary, which has become a well-known book throughout the world. On the initiative of the Blessed Michael Sopocko the image of Divine Mercy, which was based on the visons of Jesus experienced by St. Faustina, was painted. Additionally, he established a new religious congregation, currently known as the Congregation of Sisters of Divine Mercy, and initiated the celebration of Divine Mercy Sunday. Michael Sopocko was born in 1888 in Juszewszczyzna in the county of Asmena (present-day Belarus). He graduated from Vilnius Seminary and in 1914 was ordained as a priest. From 1914 to 1918 he worked as a vicar in Tabariskes parish (district of Vilnius) and was largely responsible for the revival of pastoral care in his parish. Later he studied theology and pedagogy at the University of Warsaw, and also became a military chaplain. 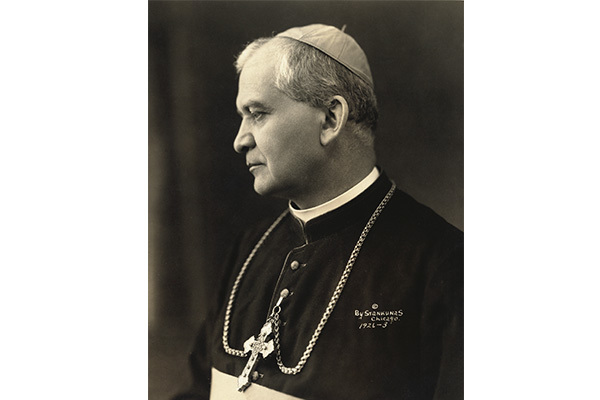 In 1924, after receiving an invitation from Blessed Jurgis Matulaitis, the Archbishop of Vilnius, he returned to the City, where he continued working as an army chaplain and organized Catholic youth associations within the archdiocese. From 1927 to 1932 he was the spiritual director at the seminary in Vilnius, and from 1928 was a professor at the Department of Theology at Stefan Batory (Lithuanian: Steponas Batoras) University, which currently is Vilnius University. Between 1934 and 1938 he was the rector of St. Michael’s Church and also served as a chaplain for the Bernardine sisters. With the start of the Second World War, he further expanded his pastoral activities, especially by teaching and distributing prayers and images of Jesus of Divine Mercy. At that time the Congregation of Sisters of Divine Mercy began to develop. In the apparitions to St. Faustina, Jesus had asked that such a congregation, praying for God’s mercy for the world, be established. According to Father Michael Sopocko, he was fortunate to escape arrest by the Nazis, and did so only due to the intercession of Divine Providence. For two and a half years (1942-1944) he remained in hiding in Juodsiliai, near Vilnius. After the Nazis retreated, he again settled in Vilnius and resumed teaching at Vilnius Seminary. As the threat of Soviet repressions grew, Father Sopocko left Vilnius and went to Bialystok (Poland) in July of 1947. He worked there as a professor at the seminary and continued his pastoral activities, including his apostolic efforts to promote devotion to Divine Mercy. He provided assistance to the congregation of the sisters we know today as the Sisters of Divine Mercy, which was officially recognized by the bishop in 1955, and by the Pope – in 2008. He also unrelentingly sought that the first Sunday after Easter be established as the Feast of Divine Mercy, and that leaders of the Church would support this devotion. Father Sopocko died in 1975 in Bialystok. Before his death, anticipating that he would not be returning to Vilnius, he told the Sisters that they should return to the City. The Sisters of Divine Mercy finally arrived in Vilnius in 2001. Coincidentally, their monastery was established in the building which previously had belonged to the convent of the Visitation Order, where for a few years Blessed Michael Sopocko had lived, and where the image of Divine Mercy was painted. The sisters meet with pilgrims and offer lodging and food. To arrange a meeting with the sisters call +370 5 212 1090. 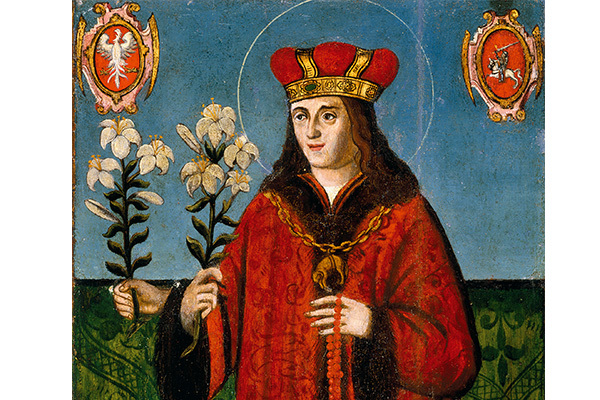 St. Casimir was the son of Casimir IV, the Grand Duke of Lithuania and the King of Poland. St. Casimir was declared a patron of Lithuania and Poland, and also of Lithuania’s youth. The city of Naples and the Knights of Malta, who had fought against Muslim Turks in the Mediterranean area, also consider St. Casimir as their patron. In Venezuela there is a small town named in the Saint’s honor, as well as St. Casimir Church and Monastery. This Saint sets an example for young people because of his prudence, justice, sensitivity and chastity. Prince Casimir was born in Wavel Castle in Krakow on October 3, 1458. As a child he was educated by the best teachers of the time. One of them – Jan Dlugosz – was a famous historian and a priest of Krakow. According to surviving historical accounts, the Prince was an extremely gifted student. He was very eloquent and fluent in Latin, Polish and German languages. According to historians, St. Casimir is described as a person of refined taste, an educated mind, great eloquence and nobility. One of the most memorable events of Prince Casimir’s life was when at the age of thirteen he marched with the army to claim the throne of Hungary. When the military expedition failed, the young Prince had to bear the shame and humiliation resulting from his military defeat and unsuccessful political strategy. It is believed that this event had a strong influence of the formation of St. Casimir’s character. Throughout the remainder of his life he never participated in any other military engagements. It wasn’t until several decades after his death that he repeatedly inspired Lithuanian army victories. In one of those instances he appeared on horseback in front of the Lithuanian army, and on another occasion, he answered the prayers of Lithuanian troops by helping them defeat the much larger army of Moscow. Growing up surrounded by royal luxury, Casimir remained strong and steadfast in his chosen ascetic way of life. The Prince was his father’s constant travel companion and provided assistance in all his work. Together with his father he participated in parliamentary sessions, consulted with representatives of the nobility and greeted guests. It was expected that he would succeed his father to the throne. For several years while King Casimir IV spent most of his time in Lithuania, Prince Casimir served as the acting regent of Poland. He distinguished himself as a wise and just ruler, reduced the State’s treasury debt and improved relations between Poland and Rome. After several years Casimir developed tuberculosis. During the remaining years of his life, the Prince aided his father ruling Lithuania. In Vilnius, just like earlier in Krakow and Radom, he cared for the poor, was generous to the churches and monasteries and sponsored the Bernardines, who were established by his father. While living in Vilnius, Casimir devoted a large portion of his time to prayer. He would even get up at night to pray at churches. Since at that time they would be closed, the Prince would often be found kneeling at the locked door. St. Casimir was called the embodiment of silent piety. Another important fact of the Saint’s life was a deliberate choice to remain chaste. At that time, it was believed that spending a night with a woman was a cure for tuberculosis. It is said that his parents and relatives tried their best to convince the Prince to do it, but he reproached them saying that they should be ashamed offering this impermissible solution. St. Casimir died in Grodno on March 4, 1484. His parents brought his remains to Vilnius and laid them to rest in a chapel, which they had built for their family in Vilnius Cathedral. In 1636 his remains were solemnly transferred to a specially-built St. Casimir Chapel. The Prince’s reputation of his sanctity reached Rome only several years after his death. He was canonized in 1521. Bishop Jurgis Matulaitis was a person who had a significant impact during his lifetime. He renewed the Marian Order, cared for youth, established several religious orders and sought to involve the early 20th century Catholic Church to teach and work in the field of social justice. Conservative Catholics called him a dangerous modernist, because of his active involvement applying social teaching in the Church. He carried out all of his tasks with the utmost humility, professionalism and in accordance with his resolve to “overcome evil with good”. Suffering from bone tuberculosis did not seem to be an impediment to this dynamic person, moreover, it demonstrated that all is possible for those who trust God and seek to renew His kingdom on Earth. People who knew him admired his profound and serene tranquility. In his beatification decree a lot of attention was given to discussing Matulaitis’s extraordinary wisdom. Even in the most complicated circumstances, he made decisions and acted as one would expect from an honorable person, Christian, bishop and monk. Jurgis Matulaitis was born in 1871 in Lugine village near Marijampole. By the time he was ten, he had lost both of his parents and was being raised by his brothers. During his childhood he developed bone tuberculosis and suffered from it for the rest of his life. In 1891 he entered Kielce Seminary in Poland. In 1893 he continued his studies at the Warsaw Seminary. He received his Master’s Degree from the Theological Academy of Saint Petersburg, Russia, and was awarded a gold medal. He was ordained a priest in Saint Petersburg in 1898. A year later he furthered his studies at the University of Fribourg (Switzerland), where he defended his dissertation for which he received the highest honors and where he attained his Doctorate in Sacred Theology. Matulaitis was involved with Christian social work, organized workers, established orphanages and helped the poor, despite the ethnic and religious differences of that period. From 1907 to 1911 he taught sociology at the Theological Academy of Saint Petersburg. In 1909 Matulaitis secretly entered the Marian Order, which the Tsarist authorities were in the process of eradicating at that time, and updated its regulations. 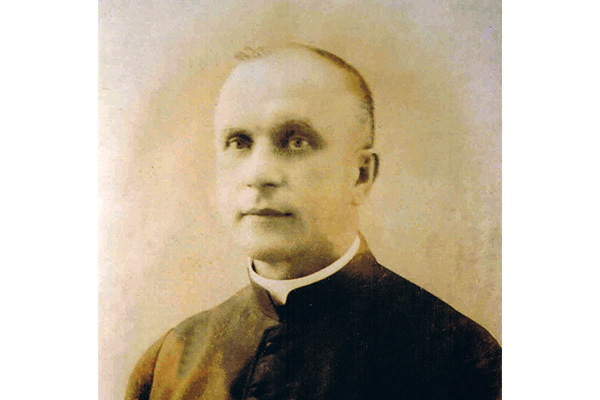 After the death of the last Marian General Reverend Vincentas Senkus, Matulaitis was elected Superior General of the Marian Order in 1911. In Fribourg he secretly founded a Marian novitiate and headed the monastery from 1911 to 1914. In Warsaw Matulaitis founded a Marian institution to educate boys and reestablished the Marian monastery in Bielany. In 1918 he revived the Marian center in Marijampole and established the Congregation of Sisters of the Immaculate Conception of the Blessed Virgin Mary. In 1918 he was consecrated a bishop of Vilnius and appointed to administer the Vilnius Diocese. Because of local ethnic and political disputes, the following years were marked by extreme suffering for Matulaitis. In 1924 Matulaitis established the Handmaids of Jesus in the Eucharist Congregation. 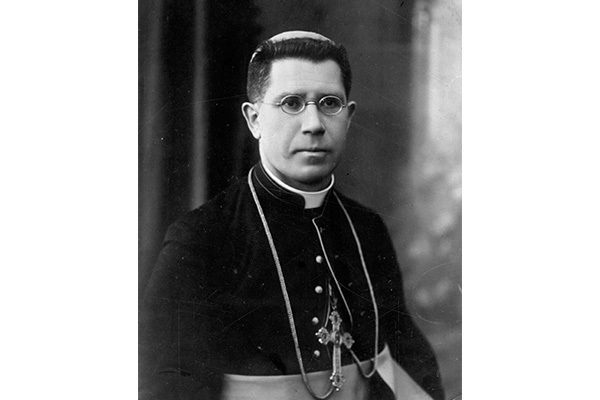 In 1925, Matulaitis resigned as Bishop of Vilnius, however soon after, he was appointed an Archbishop and Lithuania’s Apostolic Visitator by Pope Pius XI. He was largely responsible for the improvement of relations between Lithuania and the Holy See, the establishment of the Ecclesiastical Province of Lithuania and the development of a concordat. In 1934 Archbishop Matulaitis’s remains were solemnly relocated from a crypt in Kaunas Cathedral to St. Archangel Michael Church in Marijampole, where they were placed into a specially prepared tomb in the Sacred Heart Chapel. In 1987 Pope John Paul II beatified Jurgis Matulaitis. It was a very significant event in Lithuania, which was still occupied at that time. The beatification coincided with the 600 year Jubilee celebration of Christianization of Lithuania. St. Faustina is one of the most renowned mystics of the Catholic Church. She is referred to as the “Apostle of Divine Mercy”, who was entrusted by Jesus to spread the message of Divine Mercy to the entire world. St. Faustina was born in Poland in 1905, and was baptized with the name Helena. Because of the difficult financial situation of her family, Faustina only briefly attended school and then started working very young, mostly as a servant. From early childhood she stood out because of her love of prayer and profound spiritual experiences. 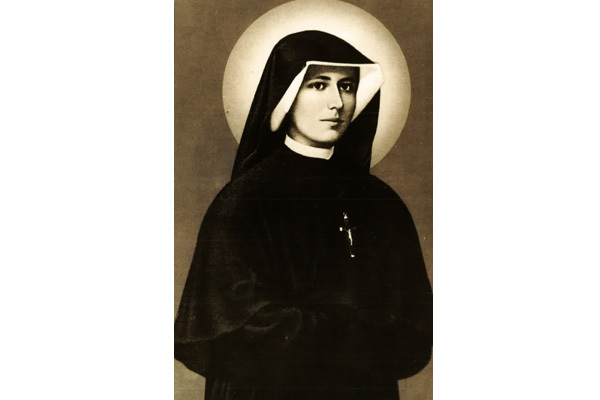 She entered the Congregation of the Sisters of Our Lady of Mercy in 1925, and took the religious name of Sister Maria Faustina. Having difficulty interpreting the mystical experiences she was having, Faustina sought guidance from her confessors and superiors, and even asked that God, Himself, or through the intercession of someone else, to help her understand those experiences. Faustina first arrived at the convent in Vilnius in 1929, and later lived there from 1933 to 1936. In this City she met Blessed Michael Sopocko, who became her spiritual father, confessor and executor of the requests she had received in her visions. During Faustina’s time in Vilnius the Divine Mercy Chaplet was dictated, and the image of Divine Mercy was painted according to her directions. Because of the meeting of these two saints, Vilnius became the City from which the message of Divine Mercy spread to the world. St. Faustina passed away from tuberculosis on October 5, 1938. She was only 33 years old. She was laid to rest in the convent’s cemetery, located in Krakow’s Lagiewniki district. With the start of her beatification process, her remains were relocated to the chapel. Faustina was beatified in 1993 and was declared a saint of the Church in 2000.
as one of the 108 Martyrs of World War II. Piotr Zukowski was born in 1913, in the village of Reva, Nemencine parish, near Vilnius. After completing Elementary School he helped with the farm and worked the land. At the age of seventeen he entered the Order of Friars Minor Conventual (Conventual Franciscans) in Niepokalanow, Poland, taking the name Boniface. Brother Boniface had an important position in a Niepokalanow printing house, which printed Catholic publications. He also belonged to the Franciscan fire brigade. When the Second World War began, he remained in the monastery and risked his life to protect printing equipment. In 1941 he was arrested by the Gestapo along with five other brothers and imprisoned in Pawiak penitentiary in Warsaw. Even under those conditions the monks did not lose hope: they prayed, sang hymns, provided spiritual strength to other prisoners and shared with them their food rations. In 1942 Brother Boniface became a prisoner in Auschwitz, receiving prisoner number 25447. He was designated a member of the clergy, which exposed him to especially cruel treatment. He worked the most difficult jobs, such as transporting building materials, gravel mining and as a roofer. He was beaten and humiliated, but endured all the sufferings patiently in the spirit of faith. He died in a prison hospital on April 10, 1942, due to complications from pneumonia. His body was incinerated in the camp crematorium. He was beatified on June 13, 1999 in Warsaw, during John Paul II’s seventh apostolic trip to Poland, during which 108 martyrs of World War II, including Piotr Boniface Zukowski, were beatified. He is one of the seven Franciscans who were beatified by the Pope and who, the Holy Father said, “went straight to heaven from hell on earth, which was Auschwitz concentration camp”. 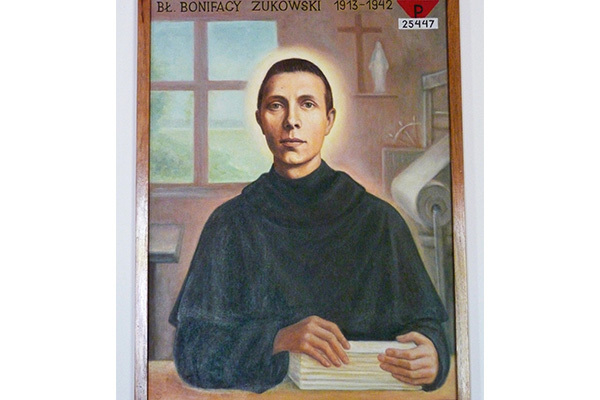 Many sites memorializing the 108 martyrs, including Blessed Piotr Boniface Zukowski, can be found in Poland. In his birthplace in Reva village, Lithuania, a cross was erected in 2012 to mark the 70th anniversary of the death of Blessed Piotr Boniface Zukowski, who was martyred for his faith and his homeland. To Archbishop Mecislovas Reinys, prayer had great significance from childhood to the end of his life. During incarceration periods it was the source of strength and peace, not only for the bishop, but for other detainees who observed him praying often. People recalled that Mecislovas Reinys always carried a small cross with him, which he was able to safeguard during both incarceration periods, and which he would clasp in his hand before interrogations. Bishop M. Reinys lived during the restoration of Lithuania’s Independence and was an active religious and public figure. He completed many important tasks in restoring the Lithuanian state. He served as the Minister of Foreign Affairs and made significant contributions to strengthening relations between Lithuania and the Holy See. He especially cared for the youth, enhancing their pastoral care, assisting with their education, encouraging the creation of Lithuanian youth organizations and then monitoring them, and participating in their events. Archbishop M. Reinys was born to a family of farmers in 1884, in Madagaskaras, in the district of Utena. The family was able to send him to school, because he was bright and also the youngest child. In 1900 he graduated high school in Riga with a gold medal. In 1905 he entered Vilnius Seminary and later studied at the Theological Academy of Saint Petersburg. He was ordained a priest in 1907. From 1909 to 1912 he studied philosophy, theology, science and psychology, and received his Doctor of Philosophy degree from Leuven University. From 1913 to 1914 he studied apologetics in the Department of Theology at the University of Strasbourg. He taught philosophy at Vilnius Seminary, and when Vytautas Magnus University was established, became a professor of psychology there. While in Vilnius, Father Reinys actively participated in the Lithuanian national revival movement. As a result, in 1919 he was arrested by The Red Army and imprisoned for nearly half a year. Father Reinys was consecrated a bishop in 1926, and served as an assistant bishop in Vilkaviskis until 1940, when he was appointed an assistant to the Archbishop of Vilnius. After Vilnius Archbishop Romuald Jalbrzykowski was ordered to move to Poland, Bishop Reinys administered the Diocese of Vilnius between 1945 and 1947. Rising tensions between residents of different nationalities in the Vilnius Region, along with the onset of the Second World War, required a lot of strength and dedication from the Bishop to continue his pastoral work. It should be noted, that during his years in Vilnius, Bishop Reinys spread the message of Divine Mercy, even before such devotion had been officially approved by the Holy See. The Bishop approved the Lithuanian translation of the Divine Mercy Chaplet and gave permission to Fr. Michael Sopocko to celebrate the Divine Mercy Sunday at Sts. Johns’ Church. On June 12th, 1947, Bishop Mecislovas Reinys was arrested by Soviet authorities. Having experienced the most difficult living conditions, hard labor and torturous interrogations, he died in Vladimir prison in 1953. Surviving recollections from other political prisoners – diplomats and priests – attest to the fact that Archbishop M. Reinys was a very strong and tranquil person, who prayed continually and cared for other prisoners. The Bishop was buried in a mass grave together with other prisoners. Containers of earth brought back from Vladimir prison cemetery, are stored at Vilnius Cathedral Chapel of Exiles and at the churchyard in his native parish of Daugailiai. Currently, documents are being prepared to begin the beatification case of the Archbishop. Adele Dirsyte was a Catholic, a teacher, a member of the Catholic Federation “Ateitis”, who was accused of anti-Soviet activities and exiled to Siberia. During her imprisonment she strived to uphold the spirits of the other inmates. For this she was cruelly tortured and starved, and eventually died in Siberia. On various materials found in prison, she wrote a prayer book entitled, “Mary, Save Us”, which eventually reached the free world and was later printed and translated into twelve languages. Adele Dirsyte was born in a county near Kedainiai, in a rural district of Seta (Lith. : Šėta). She went to school at Seta pro-gymnasium and attended Kedainiai High School. In 1928 she entered the Department of Theology and Philosophy at Lithuania University in Kaunas; studied Germanic and Lithuanian philology, also pedagogy and psychology. She gave lectures at meetings of Catholic organizations, was the board secretary of the Lithuanian Catholic Women’s Association (LCWA) and director of “Caritas”, took care and provided relief to orphans and the poor, wrote religious poetry, was an active public figure, organized courses and read lectures for women. A large part of her lectures were dedicated to the theme of being a woman and a mother. The article “Mother, Communism and the Fight Against it” (“Moteris” Magazine, 1938, No. 1) was found during a search, and became an important piece of evidence against her. 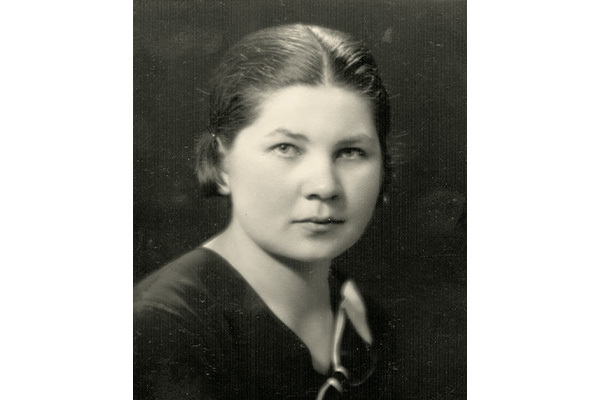 During World War II in Vilnius Adele taught German language at a girls’ high school (currently Salomeja Neris Gymnasium). She especially cared for the morality and education of the girls. Adele also worked in secrecy with the members of the Catholic Youth Federation “Ateitis”. In 1946 she was arrested and brutally interrogated in the basement of the KGB jail in Vilnius. A military tribunal sentenced her to 10 years in a concentration camp in Russia. She was forced to do the most difficult work: in construction, building railroads and working in the forest at a logging station. After a particularly brutal torture, she was transferred to a psychiatric hospital. She died or was killed in Khabarovsk in 1955, on her way back to Lithuania. Her prayer book, originally written on tree bark and scraps of paper, was released in the United States in 1959. In Lithuania it was first released secretly in the underground in 1964. The beatification process of Servant of God Adele Dirsyte began in 2000 with a Holy Mass in Kaunas Cathedral Basilica.